The International Olympic Committee announced on Wednesday that a record number of anti-doping tests were conducted during the PyeongChang Winter Olympics last month. The IOC said 3,149 tests were carried out, making it "the most robust anti-doping program in the history of the Olympic Winter Games." It said 1,393 of the tests were in competition, and 1,756 were out of competition. According to the IOC, 1,615 out of 2,963 accredited athletes, or 54 percent, were tested at least once, the majority of them out of competition. Out of the 3,149 samples collected, 2,261 were urine samples, 594 were blood samples and 294 were blood passports. "The anti-doping program in PyeongChang included smarter and more targeted testing, continuing the work of the pre-Games testing task force, which had shifted to an improved and intelligent testing system," the IOC said in a statement. The previous Winter Games in Sochi, Russia, were marred by the manipulation of anti-doping procedures, which forced the IOC to ban the Russian Olympic Committee for the PyeongChang Olympics. The IOC said the anti-doping authorities for PyeongChang 2018 took steps to prevent a repeat of such instances. "For the first time at the Winter Games, we made use of video surveillance, with the Seoul lab (that checked samples) being monitored by 24/7 video surveillance," Richard Budgett, the IOC's medical and scientific director, said. "The footage is being kept for 10 years after the Games. 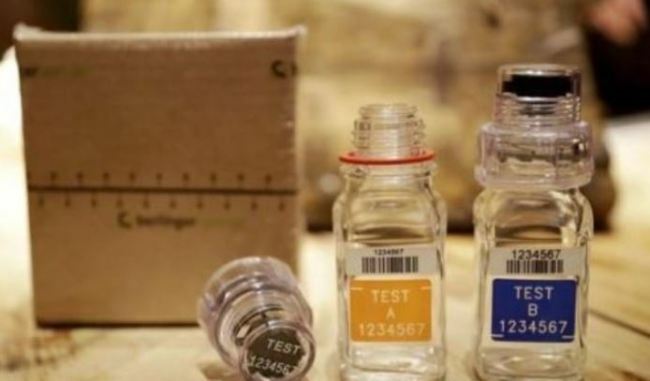 Many international experts were also part of the team, including international doping control experts and World Anti-Doping Agency laboratory experts." The IOC said the reanalysis program will focus on "high-risk"
sports and teams. The samples from PyeongChang 2018 will be kept for 10 years and may be tested retroactively as new detection technologies become available. During the Olympics, two athletes competing for the Olympic Athletes from Russia team, curler Aleksandr Krushelnitckii and bobsledder Nadezhda Sergeeva, failed drug tests. A Japanese short track speed skater, Kei Saito, also tested positive for a banned diuretic, which was found in a pre-competition sample.